Gatewood Gardens Cemetery is owned by the City of St. Louis. 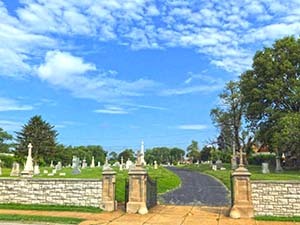 Gatewood Gardens Cemetery was established in 1832 by a small congregation of Germans. In 1834 they organized the German Evangelical Church and held services in a small schoolroom on 4th Street. Two years later George Wendelin Wall became the pastor and renamed it the German Independent Protestant Evangelical Church of The Holy Ghost. Pastor Wall was able to raise enough money to purchase the First German Church on August 9, 1840. He remained the pastor for three more years before Frederick Picker took over the congregation. Frederick Picker began his ministry in October of 1843, and by the time he retired in January of 1855 he had accomplished many things. He averaged 420 baptisms and 225 weddings a year, and was instrumental in purchasing the ground for a cemetery located on a 20-acre lot. 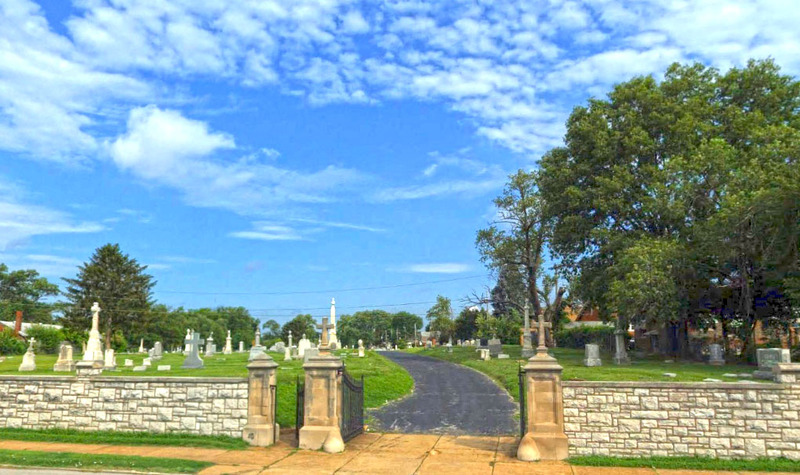 The cemetery was located in the Kansas-Wyoming-Louisiana-Arsenal area in South St. Louis. It opened in 1845 and was called the Holy Ghost Evangelical and Reformed Cemetery. Many victims of the great cholera epidemic of 1849 were interred there and the last recorded burial in this cemetery was in 1901. The cemetery acquired the nickname "Picker's Cemetery". In 1862 the German Protestant Church bought a new cemetery and called it the Independent Evangelical Protestant Cemetery. It is located at Gravios and Hampton and like the old German cemetery took the name of Pastor Picker. This became known as New Picker's Cemetery. This cemetery truly became Picker's new cemetery when all the burials at the original cemetery were moved to this location by 1916. An additional plot of land was purchased across the street and New Picker's Cemetery became Old Picker's, while the new plot became New Picker's. The Cemetery remained in the hands of the congregation for many years before eventually being purchased by another church in 1978. In 1981 the cemetery's name was changed to Memorial Gardens and the cemetery began a 15 year trip through multiple owners. Later it would be changed to its current name. When the City of St. Louis seized Gatewood Gardens Cemetery in 1996, the owners owed back taxes totaling more than $234,000. In the past 14 years there have been many improvements on the land and the records of the cemetery. Records below were acquired from the City of St. Louis on on December 23, 2017. When the City bought the cemetery in 1996, it did not receive a complete set of records. 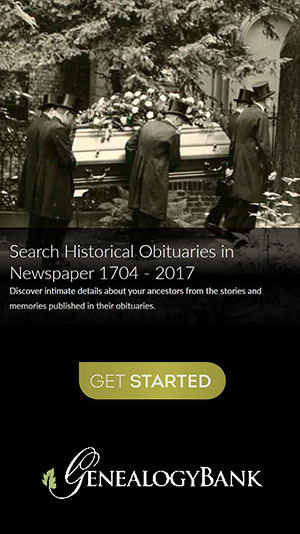 The city sought assistance from the St. Louis Genealogical Society, and was able to assemble a 90% complete collection of records. The missing 10% of the records are located specifically in the old side of the cemetery, in blocks two and four. These graves are made up of single grave pauper burials. They have no markers or surviving caskets, and the records give no information as to how they are organized. The completed portions of the records were derived from the logbooks, map books, lot owner books, lot cards, and deed books.